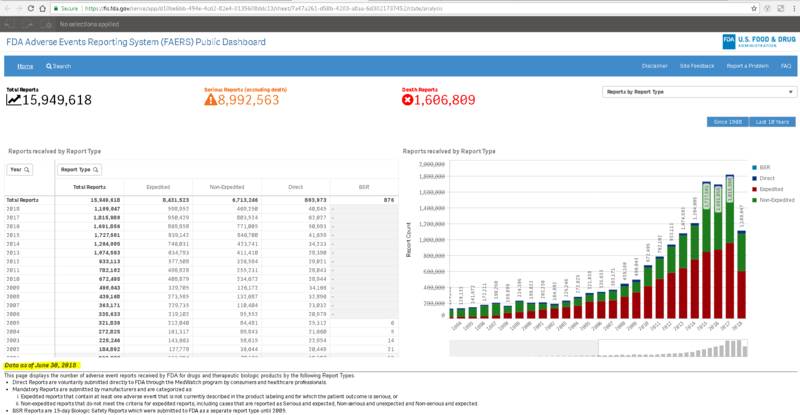 I see that on the FDA adverse events reporting (FAERS) public dashboard the data is already as of June 30, 2018 whereas on the API its still as of March 31, 2018. Please check back next week for the updates. Not the answer you're looking for? Browse other questions tagged openfda drugs or ask your own question.